Eileen was one of the women who took advantage of the GI Bill, which had passed in 1944 before her first tour of service ended. It had always been her dream to attend college. She took a few night courses at George Washington University, while in Washington D.C., but as soon as she signed the papers to leave the WAVES, she went to Kent State University in Ohio to study Business Administrative Economics. Her time with the WAVES was not up though. 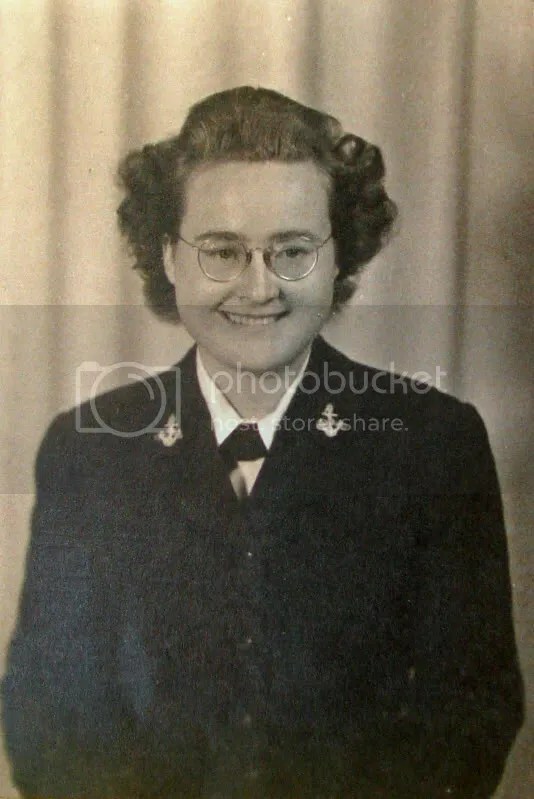 Eileen re-enlisted in 1951 during the Korean War and volunteered for a two-year term. She was again stationed in Washington D.C. and doing Yeoman’s work, except this time as a chief. 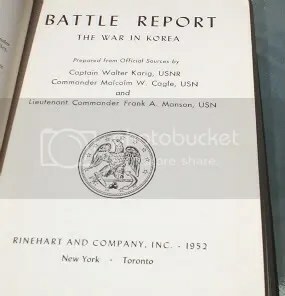 One of the highlights of her service was doing research for Captain Walter Karig, who was writing a book about the Korean War. Her name is listed in the book as a contributor. She had planned to stay on with the WAVES permanently, but in May of 1952 she met her husband, Walter, they married in August, and she left the WAVES for good in 1953. When his service obligations ended, they moved to the West Coast, where Walter had family. Eileen now lives in Grants Pass, Oregon. Karig’s book, where Chief Yeoman Ethel Eileen Horner is listed as a part of his staff.